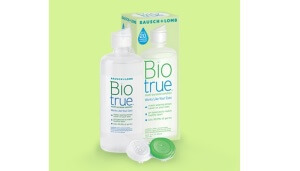 Biotrue is one of the leading contact lens solutions available for purchase. They know their product is great and want to convert more contact wearers to their solution. They are offering free contact lens solution to those interested in switching brands. These are very good size sample bottles that they are giving out as well. They should easily last a few weeks to one month. So, you get a really good idea if you like the solution by the end of the bottle. If you wear contacts then this sample is definitely for you. Hurry in these samples do go fast. They offer more each day so if you miss the sample today, be sure to check back tomorrow. You must choose an OPTI-FREE product for the free sample option to appear.